I guess this would go here! OK, so I bought my PS3 on Boxing Day, and under Videos it showed my laptop so I opened it and it said not allowed. So I went into Media Streaming options on my laptop and allowed every device of the network (There were about 3 unknown devices on there!). Then I could access it but only the sample Landscapes video in the Public Videos folder, So I went into Windows Media Player and added the Movies folder on my external harddrive (which was plugged in) and the Video's folder in my account. I also changed the name to 'Xcellerator Mainframe' for fun! Then the PS3 couldn't access it! So I went back and changed the name to it's original name, and removed the external harddrive from the list of sharing options... When I open network on my laptop I can see my laptop and the media server, but when I search for media servers on the PS3 I can't find anything! You might want to temporarily remove your password because this can create issues when trying to access a share on a windows based computer that is on a workgroup, namely access denied errors. I've found Windows 7 more of a fuss when it comes to sharing. 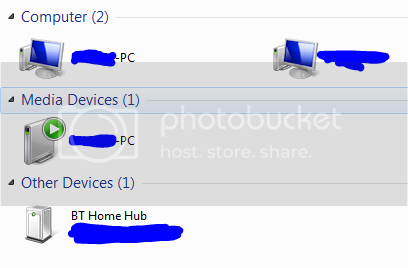 There is normal networking and Homegroup, which one should I use?! I also have a PS3 but I aint bothered setting any shared up since I use it for Gaming and Film watching and nothing else. I really hate these networking thingies that are just worthless useless nonsense! 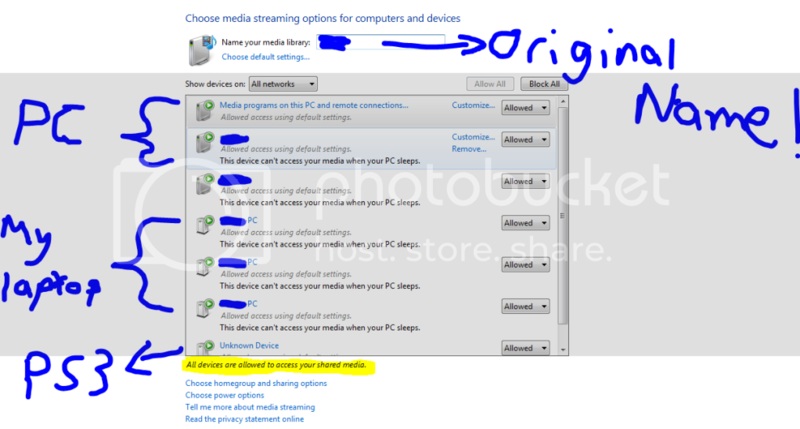 yeah, but with homegroup anything in your Libraries on Win7 is automatically shared, good for casual home networks..